Beau Monde Guitars is celebrating our fifth year in business. We are an owner-operated musical instrument retailer specializing in sales, lessons, repairs and rentals. An interesting story about us is that both shop owners not only went to high school together, but worked at the same local music store, and are now literally next door neighbors. Surprisingly, they have yet to kill one another. 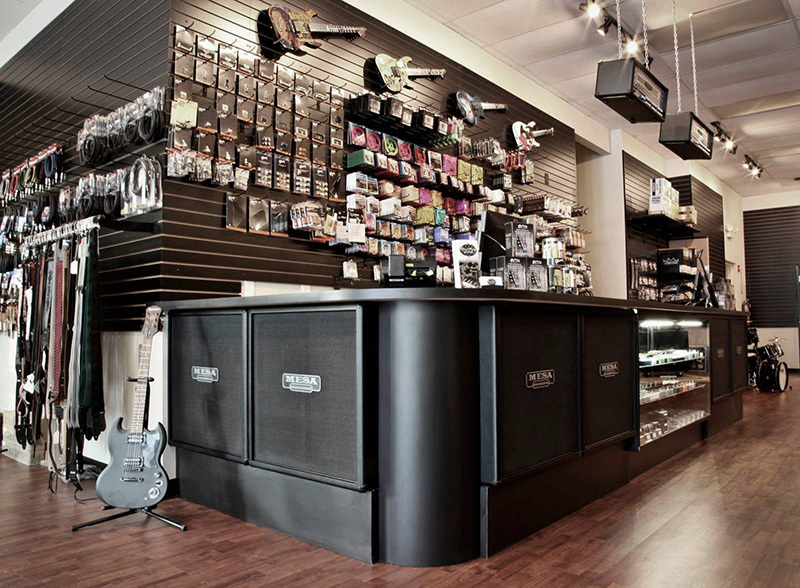 We have been an official MESA/Boogie dealer since our inception in 2013. Currently, the Mark and Triple Crown amplifiers are our favorite. The Mark V series for its singing sustain, headroom and tight bottom end and the Triple Crown series for its compressed cleans and versatile gain stages. When we first opened Al Di Meola walked into our shop. We all recognized him and were immediately quiet. He approached the front counter, looked us straight in the eyes and asked: “Do you have anyone here that could teach me how to play guitar?” His dry sense of humor was fitting to say the least. It may not be a current trend anymore, but a trend nonetheless. Small and compact amplifiers and enclosures continue to outperform the traditional head and cab. It seems as if light-weight and portable is still all rave these days.